We offer a wide range of hardware and software options to meet your needs. You’ll find we are a valuable partner as you venture into the sophisticated world of 3D scanning! Owning a 3D scanner enables you to scan parts on-site and on-demand. We have experience with every major system on the market. As part of our 3D scanning product selection process, we’ll consult with you every step of the way to determine the best scanner that fits your needs and budget. Below is a sampling of 3D scanner technology available on the market today that we often provide our clients with. A cost-effective portable 3D scanner that captures quick, textured, and accurate scans in high resolution and vibrant color. Artec 3D scanners have a measuring speed of up to 1.5 million points per second which allows for almost unlimited applications. Need to capture ultra-precise surface data for reverse engineering and inspection? 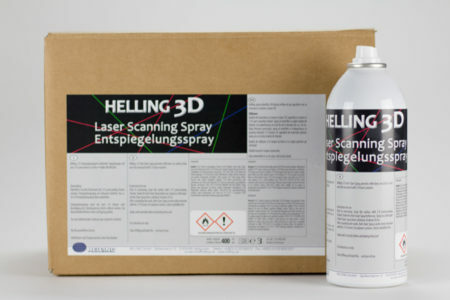 3D laser scanning with Laser Design’s high precision systems are a great solution. Choosing the right software is an important decision. We work with many major 3D scanning, quality inspection, and reverse engineering software packages on a daily basis and consult with no hidden agenda. As part of our product selection process, we leverage our expertise to help you pick the right software that fits your engineering needs. We offer various versions of Geomagic, Polyworks, SpaceClaim, Volume Graphics, ExactFlat and others. Leverage our expertise in choosing the right software for your needs!